Get outside with style and ease! 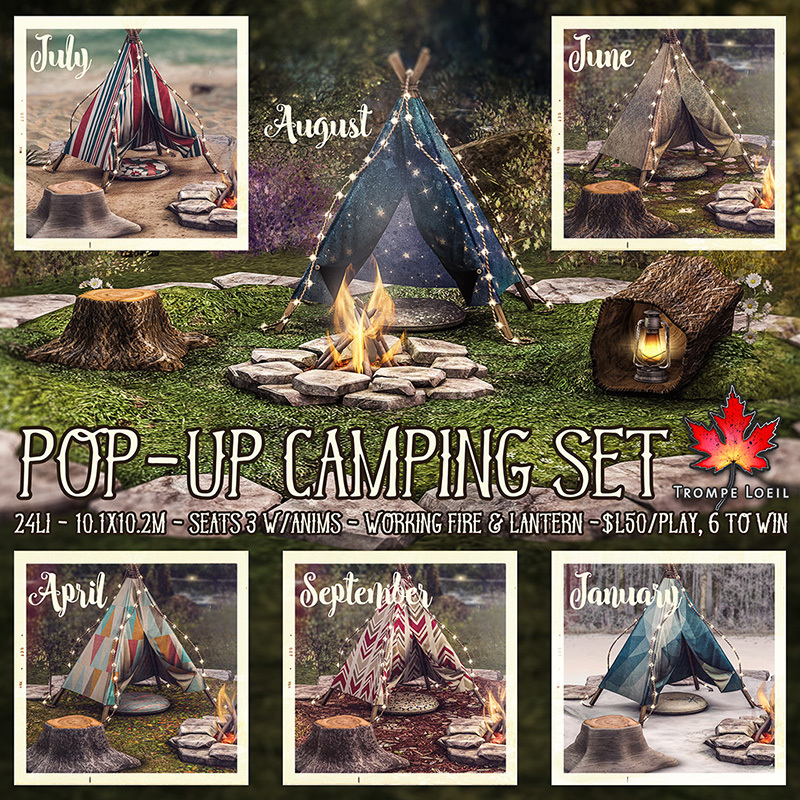 Our new Pop-Up Camping Set Gatcha includes everything you need – including terrain – and they’re only at The Arcade’s June round! A flagstone circle surrounds your campsite, ready to sit 3 campers with animated poses to choose from, a working fire and hurricane lantern, and styles to fit any season – from the brisk January ice and snow to July’s sunny beaches, and all the green and colorful spring and autumns in between. No rares, $L50 per play, and only available at The Arcade’s June round – don’t miss it!